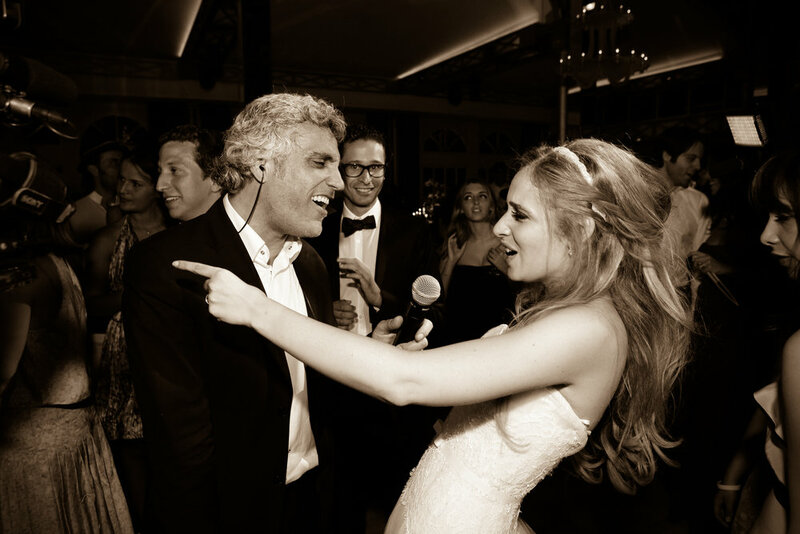 Founded by music writer-composer Karny Aboulafia, Paris Groove has emerged over the last 20 years as the must-have live orchestra for the most prestigious weddings, bar mitzvah and other happenings. Paris Groove performed in many countries in Europe and overseas. 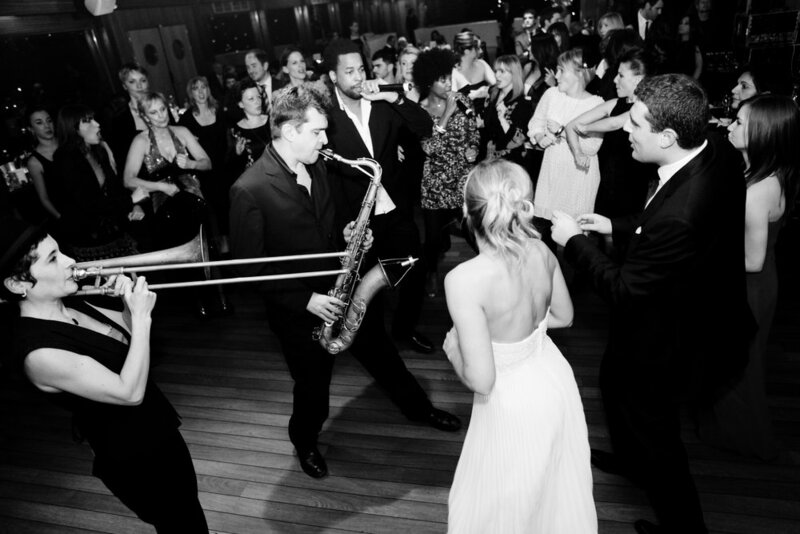 Our musicians are best-in-kind professionals with a proven track record in the art of custom fit musical performance. 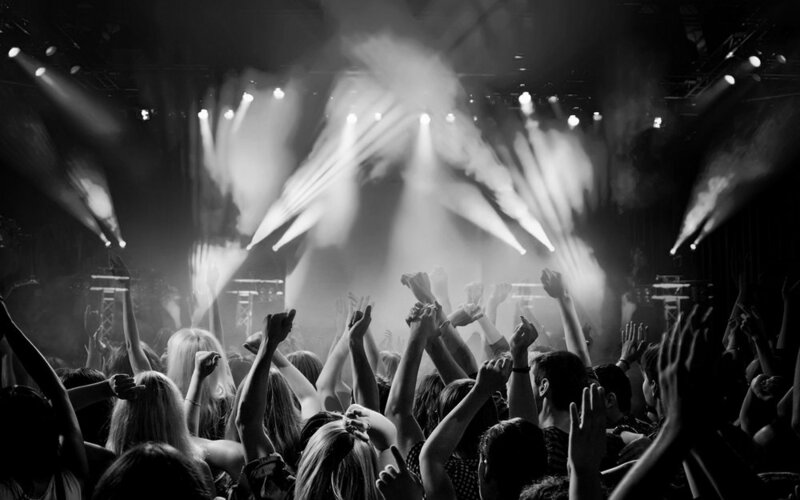 The live band evolves from 1 to 15 artists to best fit the scale and type of your event. Paris Groove covers all type of music. 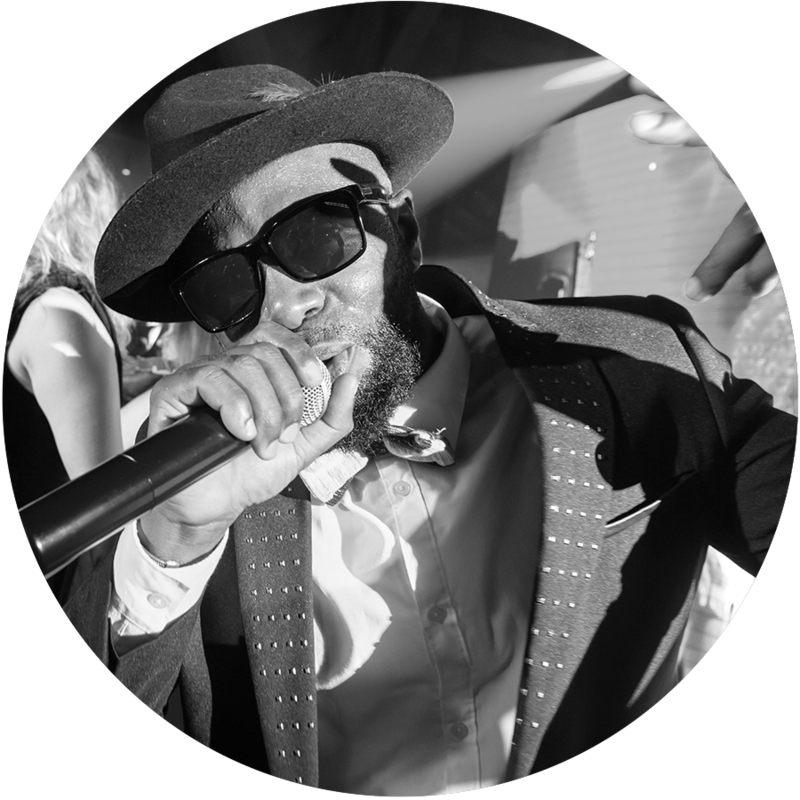 Paris Groove carries out with professionalism and energy everything from technical show management and coordination to live performance. 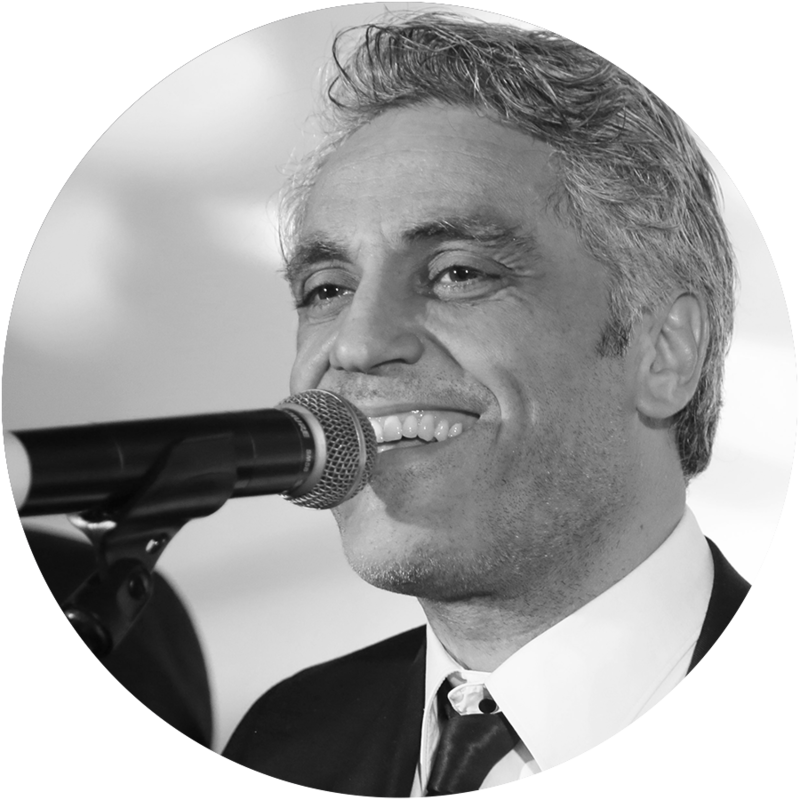 Enjoy the experience of our conductor for an incredible experience. 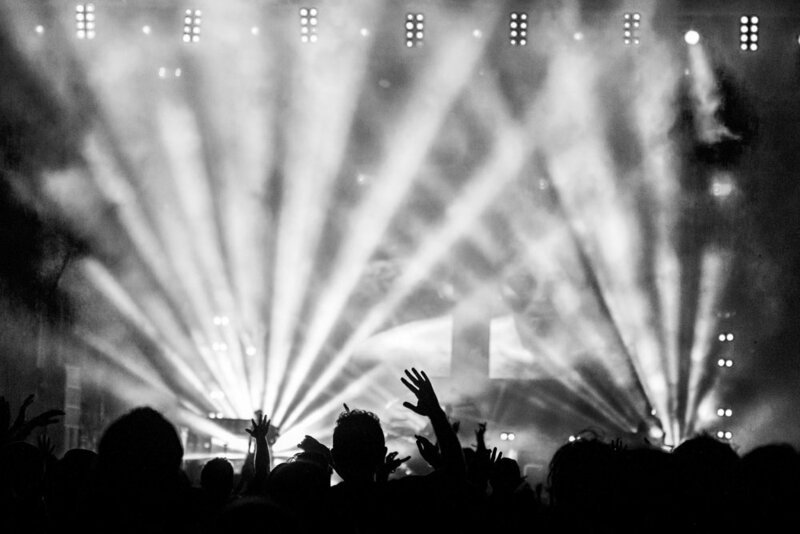 Our Sound & Light engineers participate in your event to offer you the best. Our international experience gives us an extensive repertoire that spans modern, traditional and contemporary. Hip Hop | Dance | Funk | R'n'B | Latino | Oriental | Mizrahi | Hassidic | Blues | Rock | Hard Rock | Jazz. 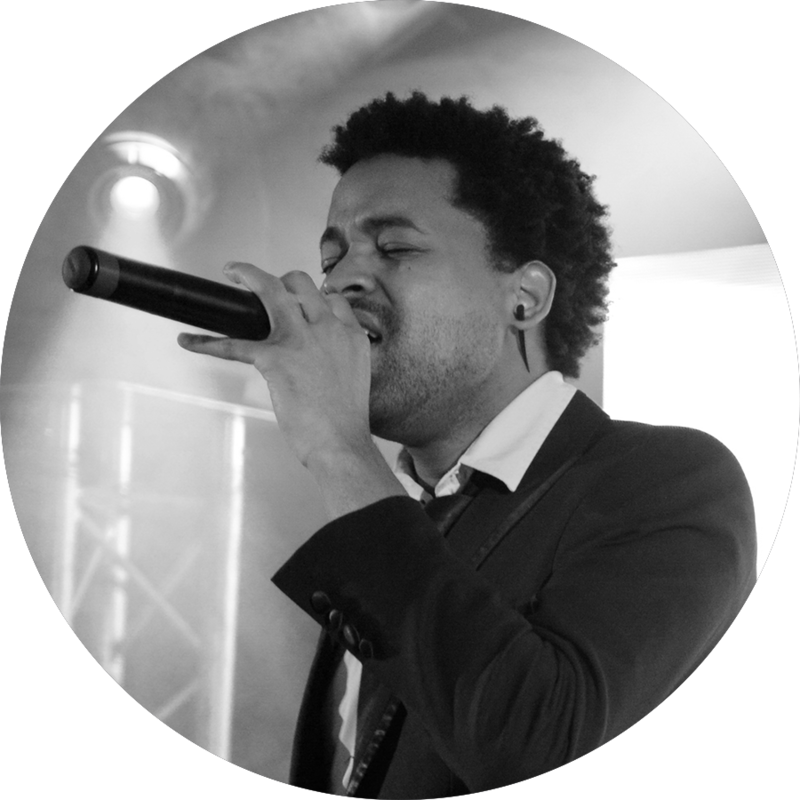 Paris Groove accommodates to your needs, cultivating the art of custom made performances to provide you with your dream XL show or an intimate showcase. 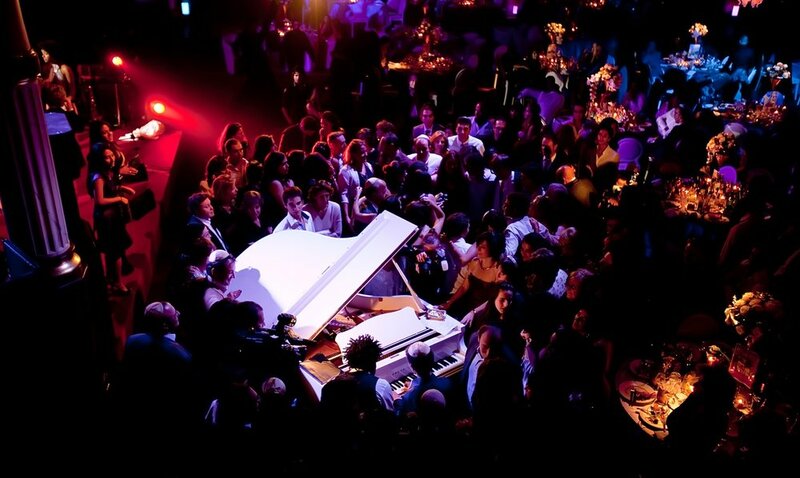 Paris Groove coordinates all details with your to help make any event extraordinary. ORCHESTRA - A collective of passionate artists, whose line-up is adjusted according to your expectations. We will bring music, rhythm and groove. 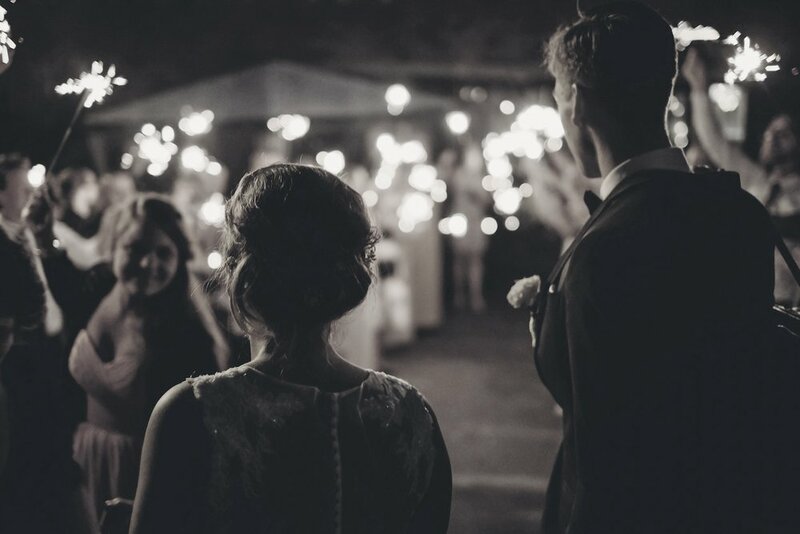 Your event deserves the best. DJ LIVE - A new concept adding a DJ performance to live instruments and voices. 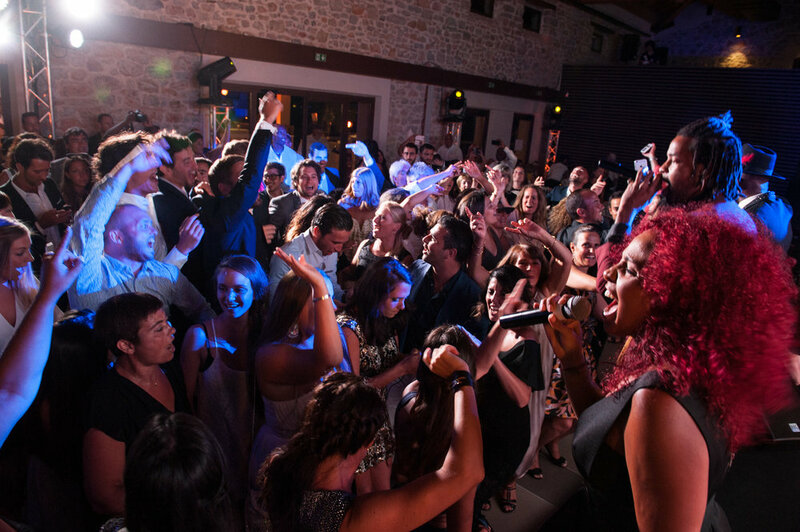 DJ SET - A selection of DJs adapted to your event and covering a large repertoire. 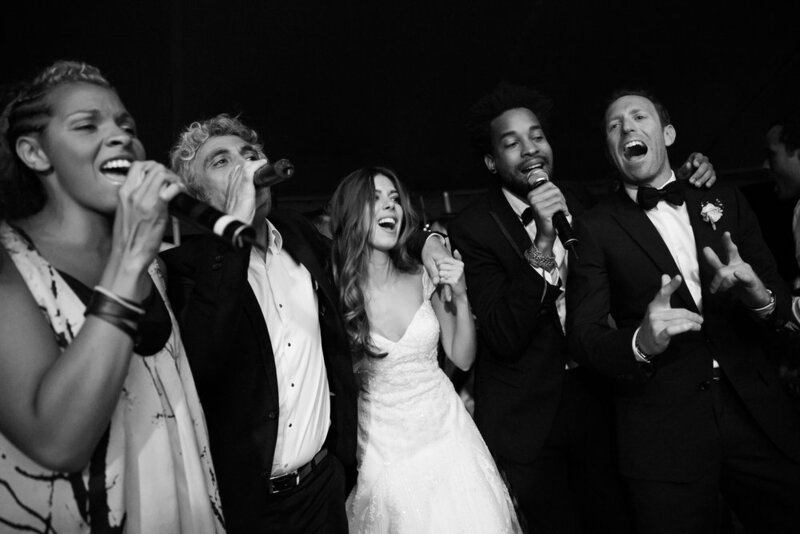 Paris Groove was our wedding band : a fabulous team with a real musical talent. Karny is a very professionnal, generous and talented guy. Wonderful memory... Thanks for all ! Paris Groove was our wedding band. Karny and its bands are there just to make you feel happy by playing the kind of music you love, the way you love. In addition, you can feel that they keep enjoying playing music. 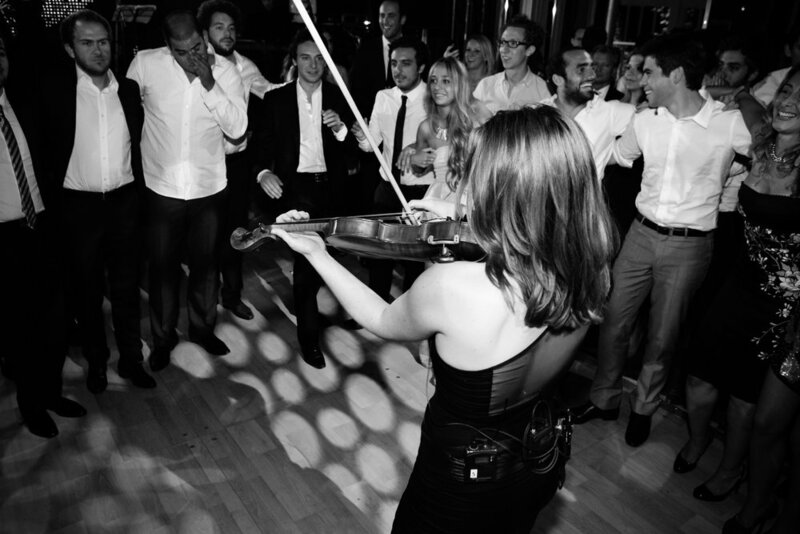 Paris Groove is a live orchestra that performs for you luxury musical performances and that animates your wedding, bar mitzvah, birthday and corporate event. 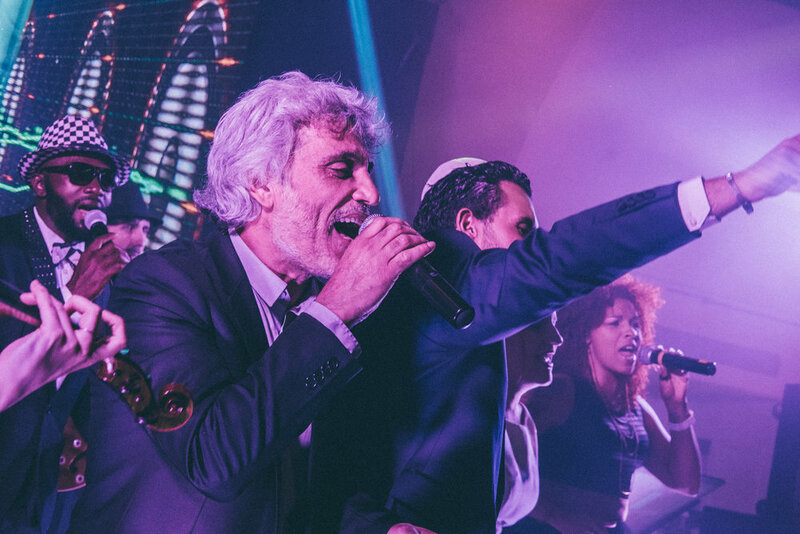 Founded by music writer-composer Karny Aboulafia, Paris Groove has emerged over the last 20 years as the must-have for private and corporate parties. 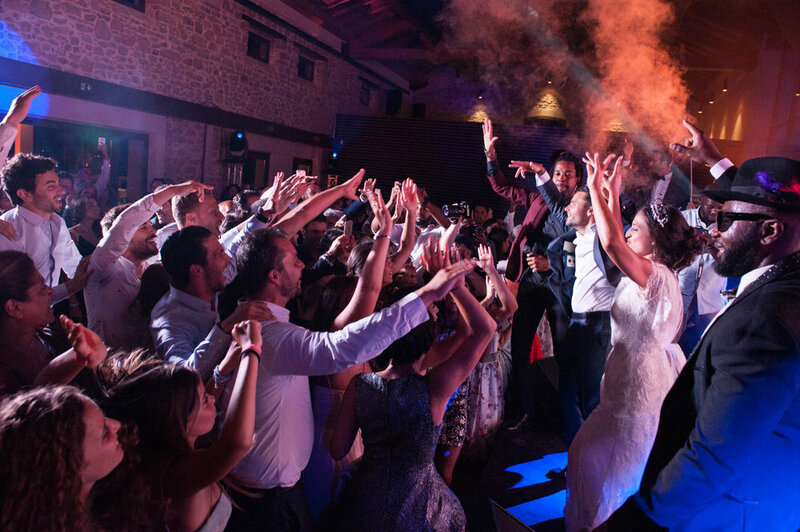 Today, the priority is to make your event a magical and modern moment at the height of your expectations, thanks to various formulas: live orchestra, DJ live and DJ set. 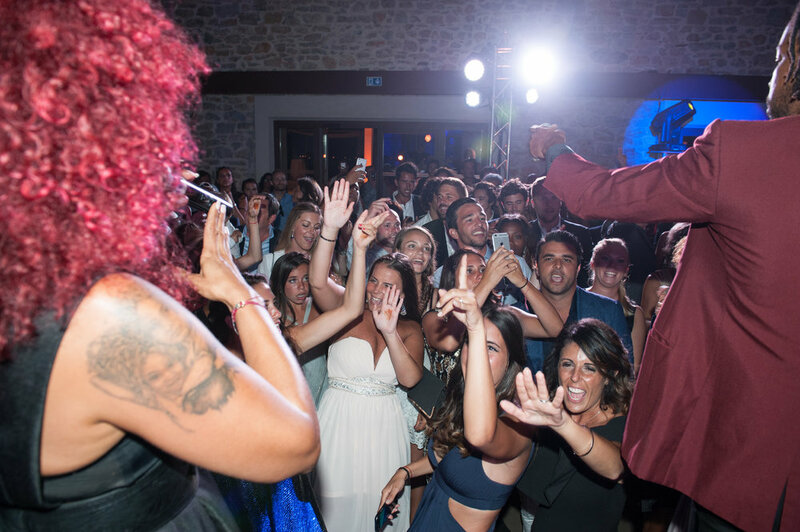 Paris Groove takes care of all the musical and technical services of your event: wedding, bar mitzvah, cocktail party, birthday or corporate party.